A boy with a KitchenAid and a temperamental oven. It’s February. January’s over, but it’s still the middle of winter, and I’m sure most of us are still feeling the effects of over-spending at Christmas. 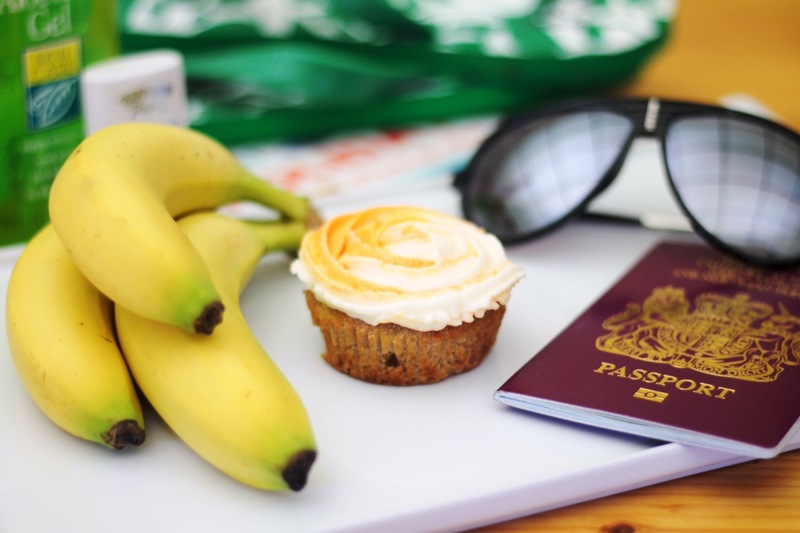 These cupcakes are a summery combination of pineapple, bananas, coconut and walnuts, and are perfect for conjuring up happy, sunshine memories. This is ideal decorated with cream cheese frosting – however as you can see in my photo, this doesn’t pipe very well! Probably best slathered on nice and thick with a palette knife. This is traditionally a layer cake, and is American in origin, so I’ve taken a few recipes and merged them in to cupcakes, converting to UK measurements along the way. The name relates to the sweetness of the cake rather than London’s famous Hummingbird Bakery. Makes 12 – 16 large (American style) cupcakes, or 20 – 24 standard (UK) cupcakes. 1. Preheat the oven to 180 degrees, line muffin tin with cases. 2. Sieve together flour, baking powder, cinnamon, nutmeg and salt, and set aside. 3. Beat butter in stand mixer until fluffy. Add sugar, and cream until well-combined (2 – 3 minutes). 4. Add eggs, one at a time, and beat well. Add banana and honey, and beat to combine, and repeat for pineapple, and again for walnuts and coconut. 5. Add a third of the flour mix, and a third of the hot water. Mix to combine, and repeat twice with the remaining flour and water. 6. Fill each case to roughly three quarters full (this is quite a dense cake, so they don’t rise much – similar in texture to carrot cake). 7. Cool, and decorate with cream cheese frosting. 1. Beat softened butter with cream cheese until smooth and light. 2. Stir in icing sugar until combined, and then beat until light and smooth (this should take around five minutes, be careful not to overbeat as this will cause the frosting to become runny).